The head of Thailand’s anti-corruption body said Thursday that it determined Prawit’s explanation to be true. “A committee of the National Anti-Corruption Commission has voted 5 to 3 to rule that there is insufficient evidence to conclude that Gen. Prawit Wongsuwan had intentionally filed a false declaration of assets or was hiding required information,” Worawit Sookboon, secretary general of the commission, said at a news conference. Twenty watches were found at Pattawat’s home and a warranty receipt for another showed Pattawat owned 21 of the watches that Prawit was photographed wearing, he said. 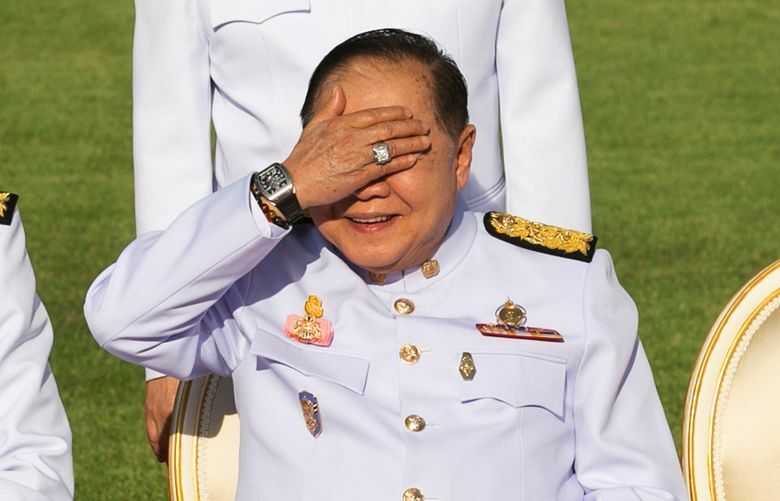 One watch could not be accounted for, but since Prawit had borrowed 21 from Pattawat, it could be assumed he had borrowed another, Worawit said.